Projects - Domestifluff : Food, Craft, Etc. Neon colors have been so popular this year, and while I don’t miss many of the trends that were popular in the ’80s (zigzag crimping irons, anyone? ), I am embracing neon like a long-lost, very brightly-colored friend. 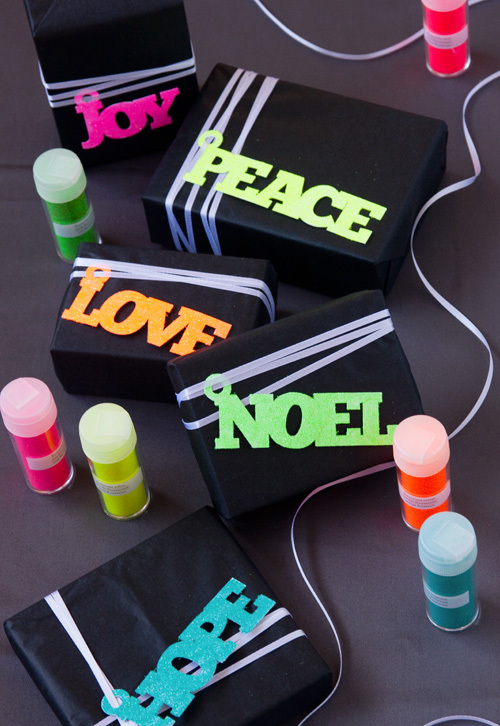 Needless to say, my new neon glitters are some of my current favorite craft supplies, and I had much fun creating these festive holiday gift tags. 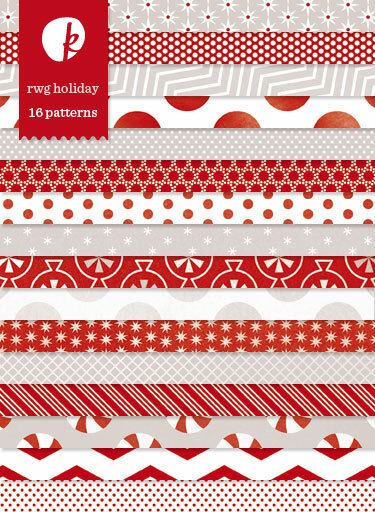 You can check out the original feature (video tutorial included) over at k.becca, and you can find the Holiday Wishes gift tag die cuts in the k.becca shop. Warning : If regular glitter is addictive (and it is), then neon glitter is doubly so. I find myself wanting to give everything a glittery, neon glow. I recently finished a fun advent calendar project using the new Silhouette Advent Calendar kit, and I’m excited to share it over here, as well as on Paper Crave, where you can read more about the project. I’ve wanted to do an Advent calendar for years but could never find a shadow box with more than a dozen or so nooks, and this frame is just what I’ve been searching for. I used my trusty Silhouette SD to cut out all of the box templates (all of the template files are included with the Advent calendar) and all of the numbers that I used in my project, and I’m really happy with the result. Now, I just need to figure out what I’ll be putting in all of the little boxes. 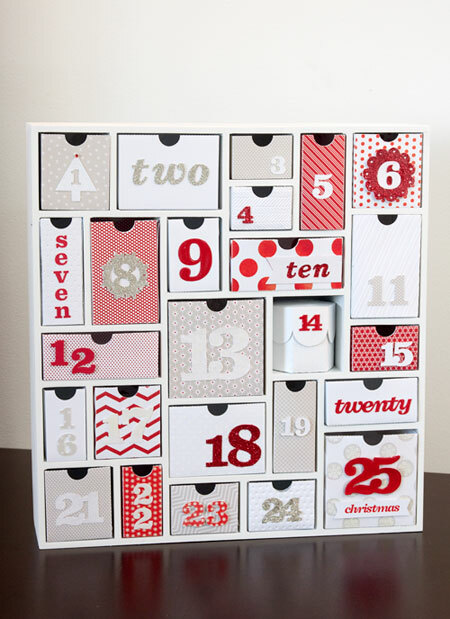 If you have a die-cutting machine and are interested in making an Advent calendar of your own, Silhouette has a pretty good deal going on until November 11th. You can purchase the Advent Calendar for just $29.99, a $10 discount from the regular price. Use code CRAVE to receive your discount. The printable patterned papers and number die-cutting templates that I used in my project can be purchased over on k.becca, and I bundled everything together at a special discount price if you’d like to purchase the papers and numbers together.